Want to enjoy a fun way to support students at Denair High School and get a little exercise in the process? Then consider signing up for the 5K Fun Run to be held before the Denair Farm & Family Festival on Saturday, Sept. 9. Registration is $25 and includes a T-shirt and swag bag. Proceeds from the race provide money for scholarships for Denair High students. Check-in for the fun run starts at 7 a.m. in front of the Gas Light Theater; the event begins at 8 a.m.
After they finish, runners will want to stick around for the annual Farm & Family Festival, one of the highlights of each year in the community. The event will feature more than 100 vendors, a car and truck show, live entertainment, a kids zone and plenty of food. Admission is free to the festival. 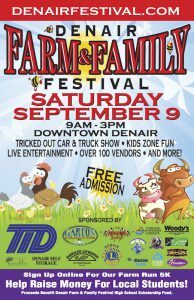 For more information, go to www.denairfestival.com. Looking for Community Service hours, or just want to help make your community great? 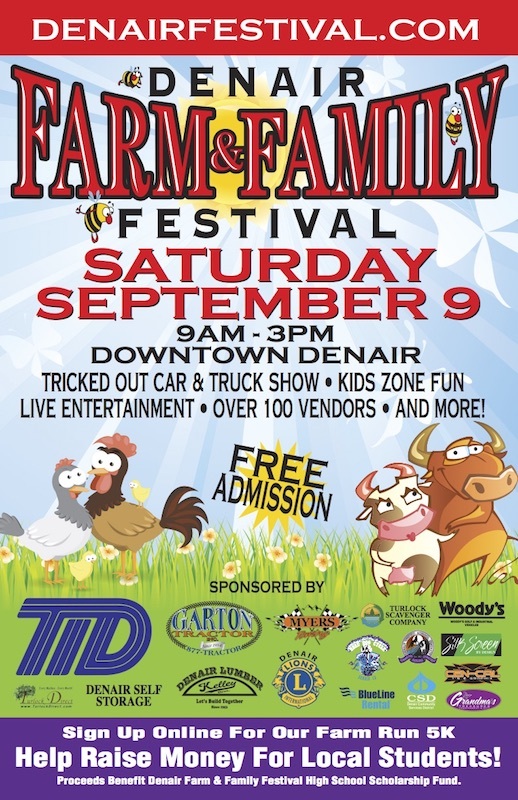 This Thursday, September 8, at 6:00 pm, Denair Cares and the Denair Farm & Family Festival will be teaming up to do the annual Main Street cleanup, to prepare for the Denair Farm and Family Festival. They are meeting in front of Grandma’s Treasures. Please bring a broom or a shovel! Let’s show how much We Care, Denair! Come join us for lots of family friendly fun! 5k Fun Run for our High School Scholarship Fund! Live entertainment, Tricked Out Truck Show, vendors, food and more! 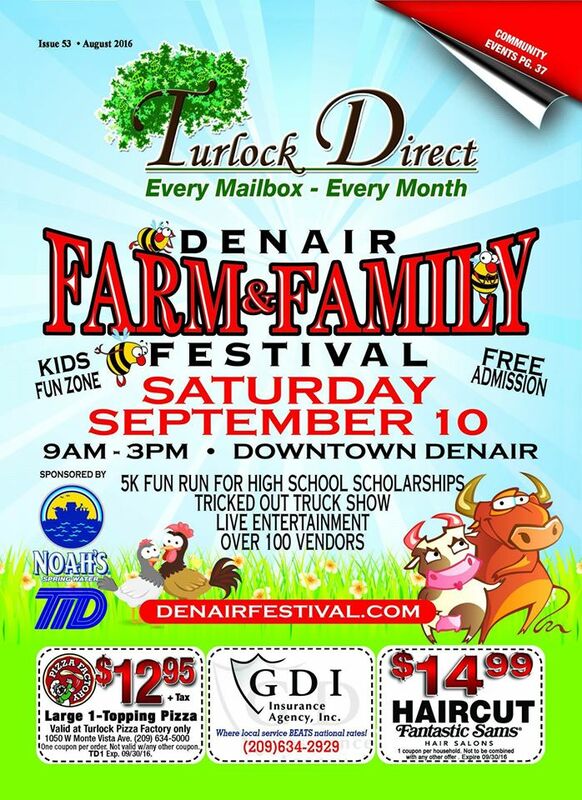 The Denair Farm and Family Board and Denair Civic Association are sponsoring the Denair High School Scholarship fund at this year’s Annual Denair Farm and Family Festival. Tickets can be purchased for a $5 donation that will be enter you in a chance to win a clean 1997 Acura CL. Their goal is to issue 1000 tickets to make this a large scholarship. Tickets can be purchased from any Denair Civic Association board member. Tickets are also available at the Denair Fire Department today. It’s that time of year already! Are you ready for the Farm & Family Festival? 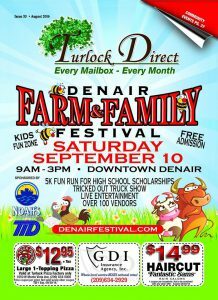 As our new advertising strategy this year for the Denair Farm & Family Festival, we are paying it forward with Turlock Direct, to give our residents not only our ad, but to give them lots of other Local Businesses to visit. We are sharing the love this year! 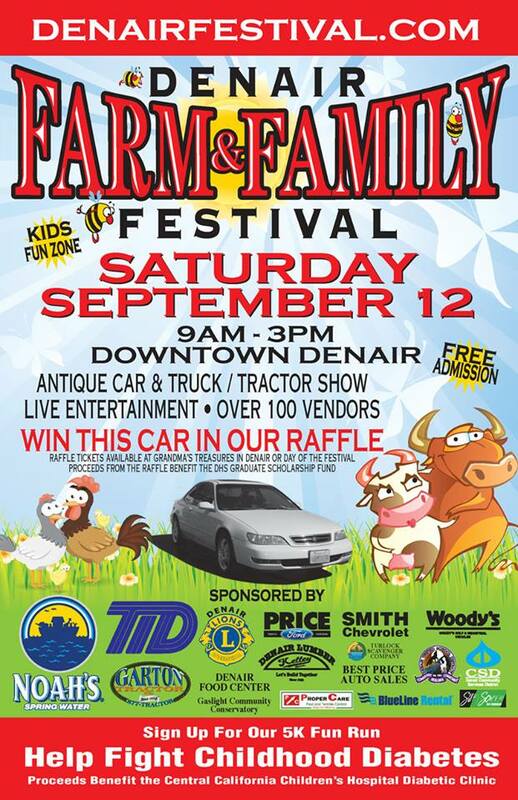 We would also include a big shout out to our Denair Volunteer Fire Department’s 31st Annual Deep Pit BBQ. Tickets are available soon at the Fire Department, through a Fire Department Volunteer Fire Fighter or are available at the door, on Saturday September 12, 2015, starting at 4:00 pm through 8:00 pm. You can drive through, walk up or come on in and visit with all your friends and neighbors, with our family style seating. Cost is $10 for adults or just $5 for kids. You won’t leave hungry! There’s something new at this year’s festival. We are raffling off a car! Just a $5 donation earns you a ticket. Only a thousand tickets will be sold! Odds are in your favor to walk away with this beauty! All proceed benefit Denair High School Scholarship Fund. This is a 1997 Acura CL 3.0! 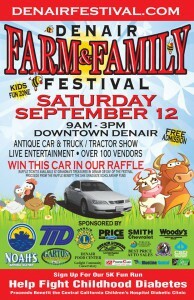 Tickets are available from Festival committee members, or at Grandma’s Treasures, in downtown Denair. Tickets will also be available on the day of the festival. Look for us folks wearing green. The car is valued at $3,000. Help support Denair Students and win a car!